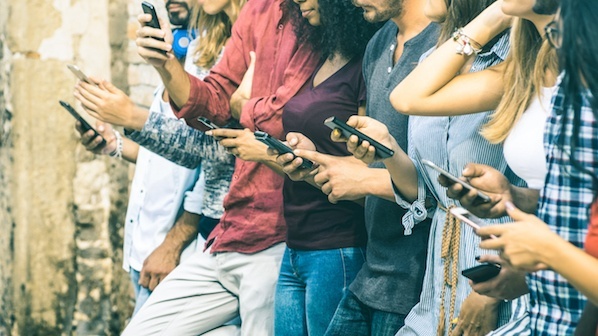 If you’ve been following the HubSpot Marketing Blog, you already know there’s a battle going on -- between Facebook and Snapchat over the disappearing message. And so far, Facebook’s winning the battle -- all because of Instagram. When Instagram Stories launched in August 2016, Snapchat had already been the first mover in the ephemeral, or disappearing, messaging space since Snapchat Stories were created in 2013. Fast forward to Snapchat’s March 2017 initial public offering (IPO), and Snapchat user growth had slowed significantly -- and Instagram Stories’ user growth was rapid and nonstop in the meantime (to date, there are roughly 40 million more Instagram Stories users than Snapchat users). Today, Snapchat faces an uphill battle: Instagram has more users in total, and more Instagram Story users alone. Plus, Instagram and Snapchat are now competing to roll out new features -- and to copy features from each other. In the last month alone, both apps rolled out features that were original, and some that were inspired by the other app. In this post, we’ll dive into brands and marketers making the switch -- and the reasons why. Instagram permits clickable hashtags and geotags to be added to Stories -- on Snapchat, they’re manually searchable. Instagram Stories are an addition to an existing photo and video-sharing platform -- Snapchat is only about ephemeral content-sharing. The simple fact that Instagram has such a big user base -- 700 million and counting, to be exact -- automatically made it a formidable Snapchat competitor. Instagram Stories creators had instant access to their audiences on the platform when they started posting ephemeral messages, and it caught on quickly -- over 200 million Instagram users are posting Stories. That's what Ben and Jerry's found out when it started creating content on Instagram Stories. The brand's senior global marketing manager, Jay Curley, told Digiday about the success it had seen in achieving better results at a greater scale on the platform. He said ads on Instagram Stories were particularly successful and achieved a "higher CPM (cost per impression) rate than usual." In general, Curley told Digiday, the brand's large number of Instagram followers were already engaging and interacting with Instagram Stories, so they'd continue creating content there to "serve up relevant stories to [their] fans wherever they are." Instagram is part of the Facebook ecosystem, which means its content and ad targeting capabilities are part of Facebook's platform -- which is robust, to say the least (just look at all the ways you can target ads illustrated in this Wordstream infographic). It also means Instagram ads can be targeted and curated based on users' data on Instagram, and on Facebook. Snapchat has only just launched a self-serve ad platform in May 2017, making it easier for advertisers to purchase and create ad space on the platform, so we can't say for certain which offers a better user experience for brands. But when you consider the wealth of data behind billions of Facebook and Instagram users combined against Snapchat's data of only 166 million users, Instagram's targeting takes the cake. Mediassociates' senior vice president of marketing and content, Ben Kunz, told Digiday that Instagram also offered users more flexible ad buying options. Instagram ads can be purchased on a cost-per-click basis, in addition to the cost-per-thousand-impressions (CPM) basis -- making Instagram ads potentially more valuable, since brands only have to pay for the ads that users actually interact with. The bottom line, for Kunz, is data. He told Digiday, "it’s not the ‘billboard’ space that matters; it’s the quality of the data behind it. Better audience data always equals better advertising performance." Another benefit to Instagram's larger audience is its ability to drive more traffic to brands' websites and landing pages. Social media helps drive brand awareness on its own, and Instagram Stories also added the ability for brands to link to web pages -- making it undeniably easier for audiences to find and interact with brands on their sites, too. Instagram also offers brands a unified dashboard where they can easily view analytics of Story and ad performance in one place -- and see which Stories are driving visitors to websites. 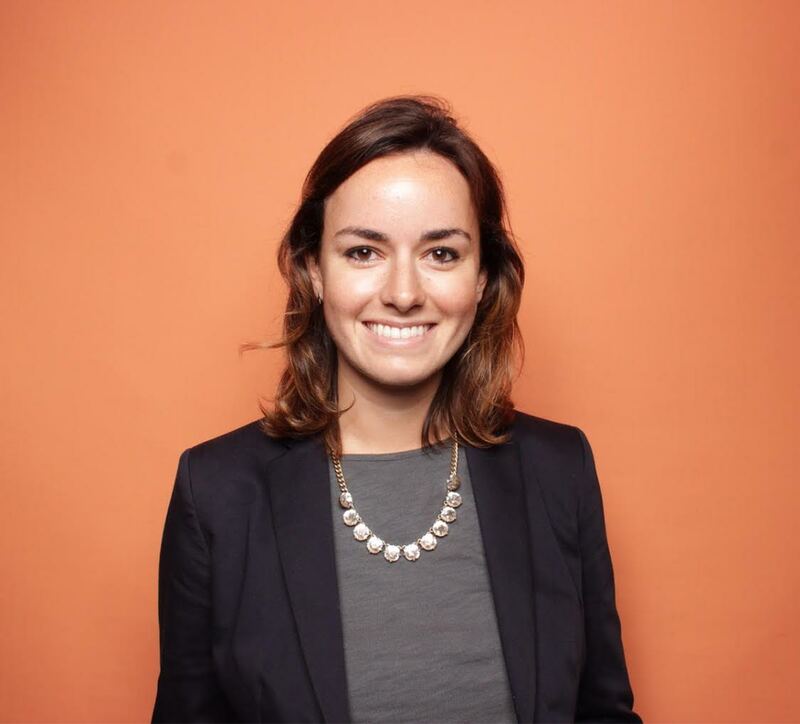 Marissa Emanuele manages social media at Pegasystems, and she's switched from Snapchat to Instagram Stories for these reasons. "The analytics on Instagram can't be matched by Snapchat yet. Plus, Instagram Stories let you link to blog posts or landing pages, so you can drive traffic directly from social." Snapchat and Instagram are racing to innovate new features -- and copy features from one another. Snapchat created a search bar and universal Stories to help users find new content and accounts to follow, and Instagram rolled out Location and Hashtag Stories to do the same -- with a key difference. Users can tap geotags and hashtags on Instagram Stories, and navigate to see what other users are posting about the location or topic -- on Instagram, or within Stories. Snapchat users can head to the search bar to choose locations and events, and see what Stories users are posting ... but they can't do it directly from within the Snapchat Story they're watching. Snapchat's means of monetization lies within the Discover tab and in Snapchat Stories, and some users have cited a better, more authentic experience on Instagram Stories. Instagram users can easily jump between ephemeral content on Instagram Stories and curated, beautiful photos on the Instagram feed, and auto-advance through Instagram Stories seamlessly without being interrupted by ads. Plus, Instagram's Explore tab suggests new content and users, so the experience isn't interrupted and inundated by low-quality ads. Owen Williams cited a lack of authenticity as his reason for moving from Snapchat to Instagram Stories. "Now you’re forced to pick which stories to watch end-to-end before even starting, and it’s filled with either advertisements between each one, or ... clickbait." Perhaps the most compelling reason brands are moving from Snapchat to Instagram is that it's easier to use than Snapchat. Instagram has made it easier to add new followers, watch (and re-watch) content, share Stories, and reply to Stories. The discoverability discussed previously makes it easier to attract new followers, and for users, it's easier to find and connect with content they're interested in checking out. The power of Instagram's huge network makes it easier for brands and users to get what they want out of social media -- to be social. While Snapchat was busy pretending to be exclusive and untouchable, Instagram leveled up on its broad appeal and user-friendliness to replicate — and improve — the ephemeral photo and video experience. After some testing on my personal Snapchat and Story, Instagram was the clear winner with higher view counts (by about 3X) and more comments. 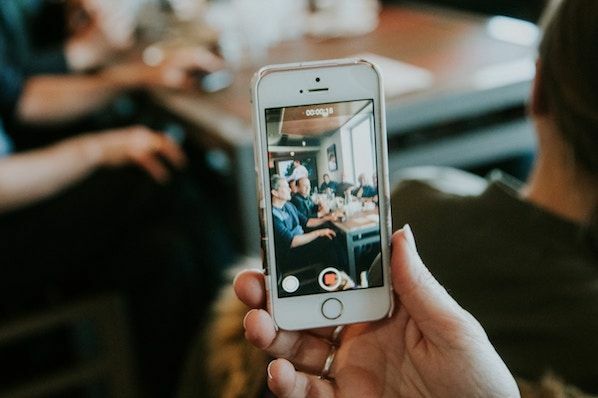 From a brand perspective, any users who follow you on Instagram are already opted into your Story, and the auto-advance feature means if you focus on creating great content, you'll remain top of mind in a more authentic way." Just because Instagram might be a better fit for brands and social media marketers specifically, it doesn't necessarily mean you should abandon efforts on Snapchat entirely. Audiences on Snapchat are highly engaged -- users spend an average of 25-30 minutes per day on the app. So if you've built an audience there, don't abandon them altogether, but see if you can keep them engaged while also building an Instagram Story following. Emanuele noted the importance of meeting your audience where they already are. "If you've built an audience on Snapchat, you should still post from time to time to keep them engaged." Whether you're fully invested in Instagram Stories, or are still engaged with your Snapchat audience, our advice for social media strategy is to experiment, analyze the results, and make changes from there. We'll keep you posted about new innovations on both platforms to help make the decision easier. For more information on how to grow your ephemeral messaging followings, download our guides to using Snapchat and Instagram for business.